This course is focused on the long-term leasing or renting of properties. This course covers the information needed to understand the basics of Property Management, along with what makes a successful professional. 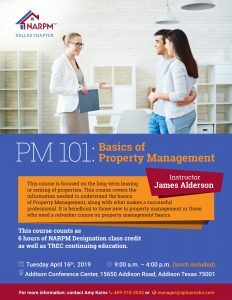 It is beneficial to those new to property management or those who need a refresher course on property management basics.